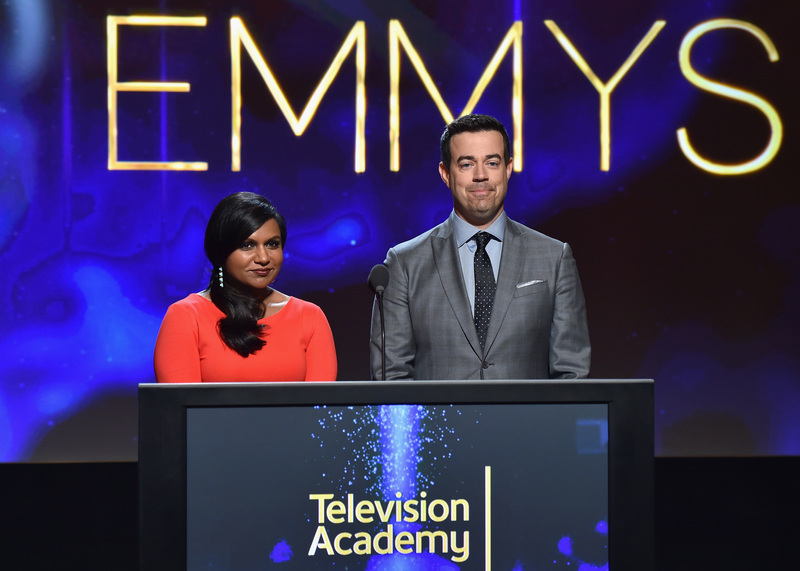 When Mindy Kaling and Carson Daly announced this year's Emmy nominations Thursday morning, they had to know they were kicking off one of the biggest entertainment news days of the year. Without fail, the Emmys bring out the best and the worst in Hollywood, and those who spend a lot of time observing it. The snubs, the weird nominations (Jeff Daniels again??) the general repetitiveness of it all. As such, a lot of people are feeling a lot of things about the Emmys today. This year brought another Tatiana Maslany snub for Orphan Black (are we really surprised?) the first ever nomination for a transgender person through Laverne Cox's role in Orange Is the New Black , and, in many other ways, a rehashing of the same old patterns Emmy voters have been exercising for years. Star power and CBS are still reigning supreme, basically, and no one's that surprised but everyone's a little bit "meh." Predictability has never stopped Twitter from having a lot of opinions and a lot of feelings, though, so some of the best Emmy reactions took place there. Critics, fans, and people in showbiz alike took to the social media site to express any and all of their opinions or lack thereof. Whether they were wry observations (or lamentations) about the habits of Hollywood or simple acknowledgments of the magic angels that live in Connie Britton's hair, here are some I particularly enjoyed.